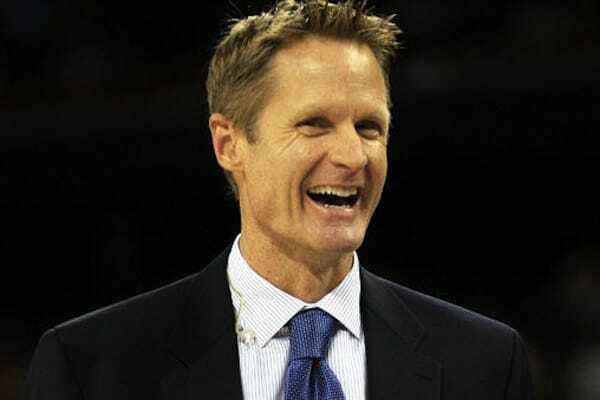 Just a short time after the Golden State Warriors announced that they were firing Mark Jackson (who is reportedly in Talks with Cleveland Cavaliers), Steve Kerr has been chosen to take the position. Formerly the Phoenix Suns General Manager, Kerr has no previous NBA coaching experience. There is a short list of people who have done the same thing, such as Doc Rivers with the Orlando Magic and Jason Kidd of the Brooklyn Nets. According to various sources, Kerr will be getting a five-year deal worth $25 Million. As the former Phoenix Suns general manager who won five championships as a player, Kerr was also was a top candidate for the New York Knicks position. Instead, he replaces another TV analyst-turned-coach, Mark Jackson. Kerr played for Phil Jackson’s Chicago Bulls and Gregg Popovich’s San Antonio Spurs and the experience will be invaluable as he gets into his new position. The Golden State Warriors are coming off consecutive trips to the playoffs for the first time since 1992 and Jackson was fired with one year left on his contract because of an issue with owner Joe Lacob.